Images of young children in cages have shocked the world this week, as a zero-tolerance immigration policy saw families separated at the U.S.-Mexico border. The Current's Julie Crysler was in McAllen, Texas, meeting people on both sides of the immigration debate. Things will soon be "back to normal" along the U.S.-Mexico border, but that isn't a good thing, says the mayor of a town at the centre of migrant crisis there. "Things will be back with no immigration reform, no foreign policy in Central America, drug cartels getting richer and richer, countries being poorer and poorer," said Jim Darling, the mayor of McAllen, Texas. "What bothers me is that we'll get some huffing and puffing in Washington about immigration reform," he told The Current's producer Julie Crysler, who was in Texas this week to investigate the separation of migrant children from their parents. Representatives are trying to rush bills through, he added, which won't result in a substantive solution. Darling argued that North America needs to address the issues that cause the flow of migration, from the illegal narcotics industry to foreign policy. "It's our hemisphere, we ought to take care of it better," he said. ​Images from the area of children separated from their parents — kept in cages and sleeping on mats — have caught the world's attention this week. McAllen is in the Rio Grande Valley, the busiest section of the border. It's one of the towns that migrants are sent to after they've been apprehended at the border. After an appearance at the federal courthouse there, many migrants are released and permitted to continue the immigration process elsewhere in the U.S.
On Wednesday, U.S. President Donald Trump signed an executive order pledging to end the separation of families, but uncertainty remains over the fate of the thousands already apprehended. "We have thousands of children taken away from their parents, and ... they don't even know how they are going to unite [them]," said Martha Sanchez, a community organizing coordinator with migrants' advocate group La Union del Pueblo Entero (LUPE). Sanchez is particularly concerned about cases where parents have already been deported back to Central America, forced to leave their children behind in U.S. detention centres. Sanchez crossed into the U.S. from Mexico — "without documents," she said — when she was 15. 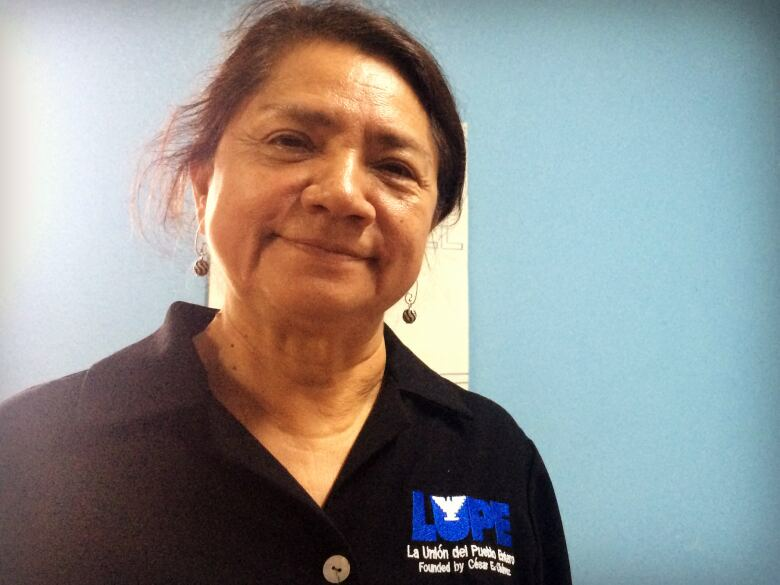 She found work, married and eventually gained citizenship. "That's why I feel so indebted to this cause ... because I feel like somebody gave me an opportunity, and I was able to take the opportunity and raise three professional children," she said. "My three kids got educated — very well educated — and they're really good human beings," she said. "They're helping to make this country a great country." "Now I have to give the same opportunity, to be sure that somebody else has [it]." While her experience has been positive, Darling points out that not everyone is so lucky. "What scares me is we're going to focus on the detention centre and these temporary families' separation and forget about the conditions that are forcing 80 per cent of the kids to come across by themselves," he told Crysler. THE CURRENT | Should Canada scrap immigration deal with the U.S. over safety concerns? Darling also worries that the media's current coverage doesn't shine a good light on his town. He's been inundated with emails from people asking, "How can you let it happen in your city?" "I say, well, that's a little misdirected. That's federal government, I don't control what happens there," he explained. "We're just an end result. They dropped them off at our bus station." This segment was produced by The Current's Julie Crysler. Translation and additional reporting provided by Victor Castillo.